Johnny Depp has been struggling. He’s one of the best actors of the last 20 years, not many would argue that, but the guy’s been scuffling to produce a hit. I don’t mean at the box office, I don’t pay attention to that, I mean a cinematic hit, an impressive performance, a movie that we’ll remember. Dark Shadows, The Lone Ranger, Transcendence, Mortdecai; these are his most recent major roles, and even though I actually enjoyed Lone Ranger a bit, the rest are complete bombs. On the flip side, Joel Edgerton can do no wrong, and every thing he touches turns to gold. Warrior, The Gift, even The Great Gatsby, Exodus; in the former two he was amazing, in the latter two he stole the show. And so when these two powerhouses meet, one slumping currently, one on his way up, the result is something that perhaps we should have expected; a meeting exactly in a middle. 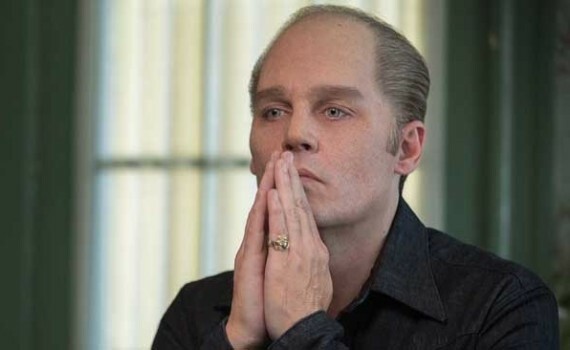 Black Mass is a good movie with good performances, definitely pushing Depp back on track, possibly earning Edgerton Best Supporting consideration, but not impressing the way in which I had hoped that it would. James “Whitey” Bulger, one of America’s most notorious gangsters, and a man who committed crime with no respect for authority, no fear of prosecution. That’s probably because he was protected by the federal government, and that’s where our story begins. Jimmy was a small-time crook at first, running a gang of thugs in South Boston’s Winter Hill district. He was a friend to the Irish, an enemy to the Italian, a thorn in the side of the law, and a friend to men in high places. These relationships would lead to an alliance between Bulger and the FBI, or more specifically Agent John Connolly. Jimmy agreed to give certain information to the feds, they agreed to look the other way when it came to his “activities”, and their shared goal was the disassembly of the Italian mafia in North Boston. But this true story has a violent end, as Jimmy refused to hold himself back from the more heinous variety of crime, the FBI couldn’t protect him totally, and the crooked cops involved couldn’t keep the breadth of this deal with the devil a secret forever. Depp was given a role in Whitey that allowed him to show his stuff, convince us that he’s still got it, and start heading in a direction that could ultimately save his career. That might sound dramatic, but Johnny needed Jimmy, not only to prove that he can still make good role choices, but also to get him back into the meaty performances that are his strength. This movie showcases Depp’s talent in a way that even his popular dark alternative films can’t, allowing him to immerse himself in a true character, to become someone historic, and to totally grasp hold of a time period in the way that shows his control. Depp was controlled all the way through, acting with his eyes, allowing us inside, and helping us understand. I can’t see a Best Actor win here; it wasn’t Finding Neverland caliber, for which he was nominated, though didn’t win. But it’s a major step in the right direction. I liked Joel Edgerton much more, playing bold & frightened in turns, giving us frightening insight into the mind of a career man, an agent who wanted to do the right thing but couldn’t stop himself from taking the perks that came along with it. Edgerton, in many ways, was the star here, the character who had a metamorphosis, and could be the actor with the best chance at winning big at the Oscars. But although I enjoyed the two major performances and liked the side actors as well (Benedict Cumberbatch, Kevin Bacon, Peter Sarsgaard), I didn’t love Black Mass as a whole. It’s a film that could be classified as a “slow burn”, but unlike director Scott Cooper’s Out of the Furnace, the restraint wasn’t continued up to a major climax. The film smoldered, but perhaps held on too long, forgetting to flare in our faces in a way that would have paid us for our patience. And it’s dated vibe, it’s crooked public officials, it’s criminal element, that package was very reminiscent of American Hustle. But, again, it wasn’t quite as good, quite as impressive, quite as memorable. It was exactly three times better than Public Enemies, which I hated, and which also features Depp as an infamous outlaw. So it at least warrants comparisons to great film, as opposed to terrible ones, but couldn’t quite manage greatness itself. The scenes where Jimmy was emotional fell flat, mostly due to an awful performance from Dakota Johnson, who couldn’t emote while also attempting an accent. I also strongly disliked the inserted nuggets of historical fact, shoved in where they didn’t belong as if we wouldn’t notice their intrusion. Don’t call him Whitey, the guy had LSD experiments done on him, he was never the same after that tragic event, this phone call allowed for prosecution of federal officers; the director seemed to constantly forget that this was a drama, not a documentary, and that if we wanted to know all the how’s and why’s we could just look them up on Wikipedia later. Also, why make the movie span 30 years if you’re going to summarize futures at the very end? Give me a moment, an important month, a snapshot of Whitey Bulger, and then tell us how it all ends with some paragraphs before the credits. I guess that’s what it comes down to; I wanted more of a drama and less of a historical account. The actors were there to crush what was asked of them, they could have told us the whole story through glances had they wanted to, but they weren’t allowed to take the film in that direction. 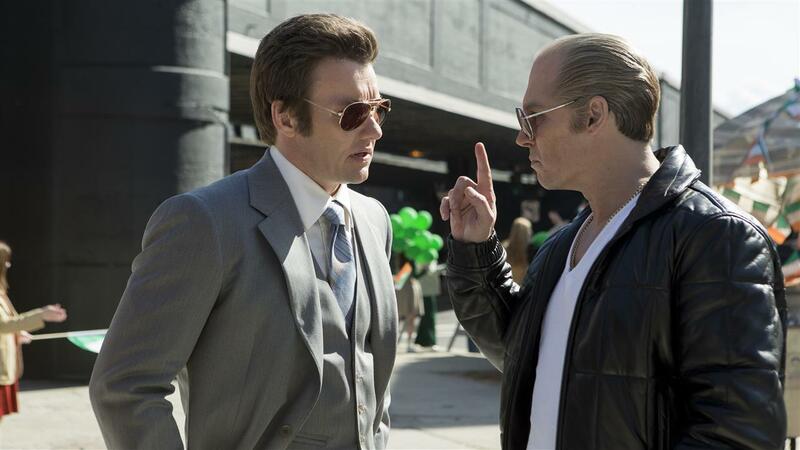 Instead, Black Mass becomes a good & interesting biography, not the award-winning film I was looking for.